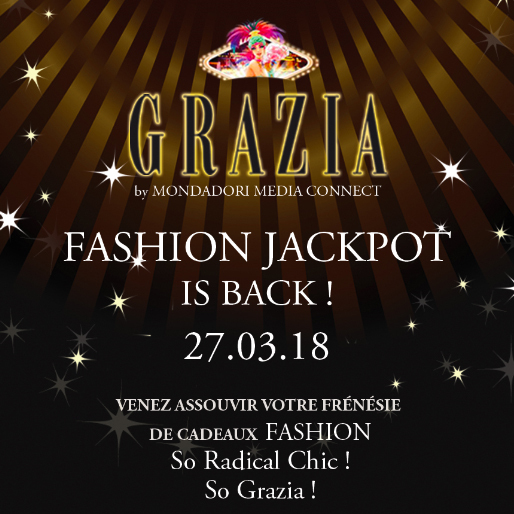 In March, Grazia brought for the 4th time the gaming spirit of casinos into the four biggest French media agencies with its ‘Fashion Jackpot’! 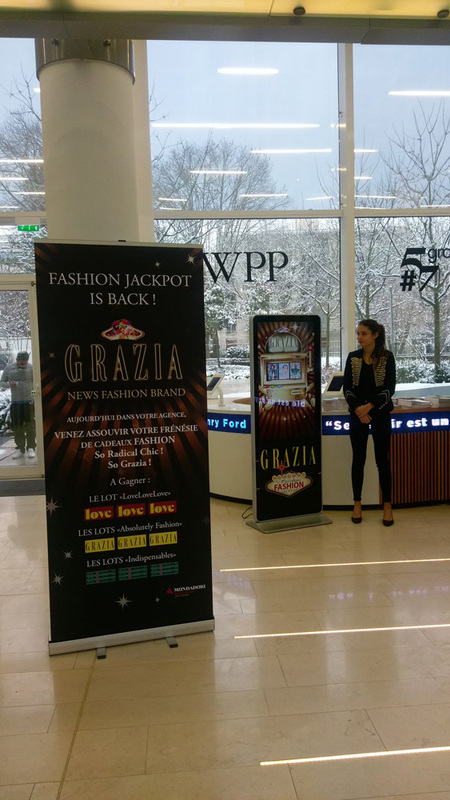 A specially designed Grazia jackpot machine was installed inside the agencies for one day. 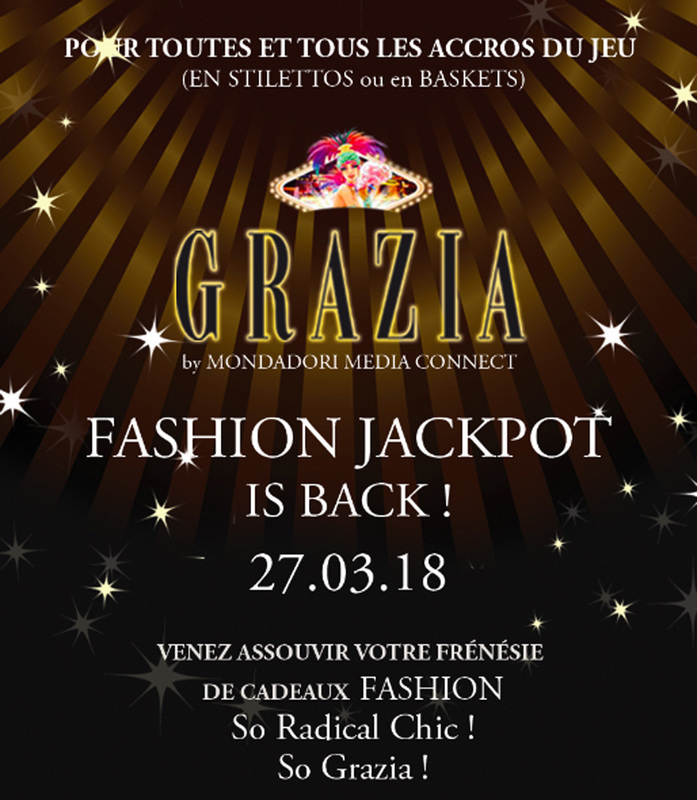 Over 1 000 clients took a chance, and 130 lucky winners received one of the radical fashion prizes – luxury and premium accessories and pieces of jewelry. All the players received a copy of the Grazia Fashion and Accessories issues, as well as exclusive Grazia goodies.